WINONA, MINNESOTA, USA – RTP Company, a leading global compounder of custom engineered thermoplastics, is pleased to announce the development of new Light and Tough (LT) Compounds, a series of thermoplastic compounds that weigh 5 – 10% less than typical filled compounds, but with equivalent mechanical properties and similar shrinkage values. 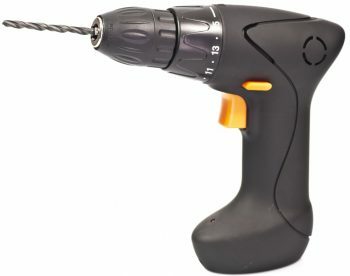 According to company representatives, LT Compounds are the fastest and easiest way to accomplish weight reductions in parts molded with glass fiber reinforcement without compromising performance or requiring modifications to existing tools. “Our LT Compounds can be drop-in replacements without the cost burden associated with other options to reduce weight,” explains Jason Kafader, Structural Product Manager at RTP Company. 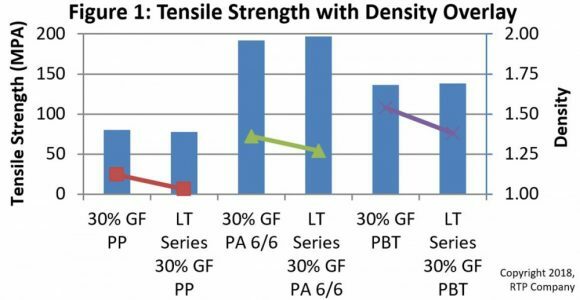 Figure 1 compares RTP Company LT Compounds versus standard glass fiber reinforced materials, illustrating the dramatic difference in density and only a slight difference in tensile strength. Unlike chemical foaming agents, the density reduction provided by LT Compounds is not dependent on wall thickness; furthermore, aesthetically pleasing parts are achievable with LT Compounds, which is not always the case with chemical foaming. Since LT Compounds are often able to be used as a drop-in solution with existing tooling, the switch from other materials can be a smooth and economical transition. For specific data on LT Compounds from RTP Company, you may download product data sheets on the firm’s website. For more information on LT Compounds from RTP Company, telephone (507) 454-6900, or visit their website at www.rtpcompany.com.